The Virginia State Police stated that two people suffered injuries on Jan. 31 when a tractor trailer hit a car in Washington County. The police stated that the accident happened at 4:30 pm at the intersection of Routes 19 and 633. The authorities stated that the truck rear ended the car. The truck flipped and the cab caught on fire, while the Honda Civic slammed into a tree. Both the 17 year old driver of the car and the 60 year old truck driver were taken to the hospital with serious injuries. The police continue to investigate, and charges are pending. The above tractor trailer accident could be yet another case of distracted driving, which our truck accident personal injury attorneys in Virginia see all too often. Any driver being distracted from the task at hand is dangerous, but this is doubly so with truck drivers. 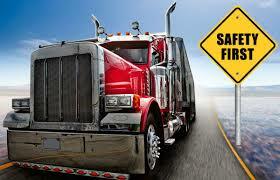 Big rigs are heavy, hard to slow down and difficult to maneuver. Because they need to get their load to its destination, truck drivers do not like to pull off the road for any reason. This can lead to distracted driving accidents involving cell phones and texting, most often. Other common trucker distractions that lead to fatal accidents include talking on a cb radio, urinating into a bottle, watching TV, eating, looking at road maps and changing the radio. We have successfully settled many distracted driver car and truck accidents in Virginia, such as this one for $350,000. The driver who caused the crash turned left in front of our client, and the resulting crash fractured our client’s kneecap and caused several abrasions and contusions. This accident required him to undergo extensive surgeries to repair the damage. Anyone who is injured by a car or truck driver who may have been distracted should speak to a personal injury attorney; you may be entitled to compensation for your injuries.